Recently we added the Remington Golden Saber .45 ACP 185 grain JHP load to our buyers guide. It performed exceptionally well after penetrating tough barriers – like multiple layers of leather and light canvas. While the standard pressure load clocked in at an average of 1,062 feet per second out a full size government model 1911, the +P load added just over 100 feet per second in velocity. Measured 15 feet from the muzzle with our Shooting Chrony Beta Master, the +P load averaged 1,165 feet per second from the same gun. With all of the ammo testing we do here, we’ve found that velocity matters when you start to add barriers. Most any half decent hollow point load will expand decently in gelatin or water jugs. Where projectiles start to fail is when they pass through heavier clothing barriers. 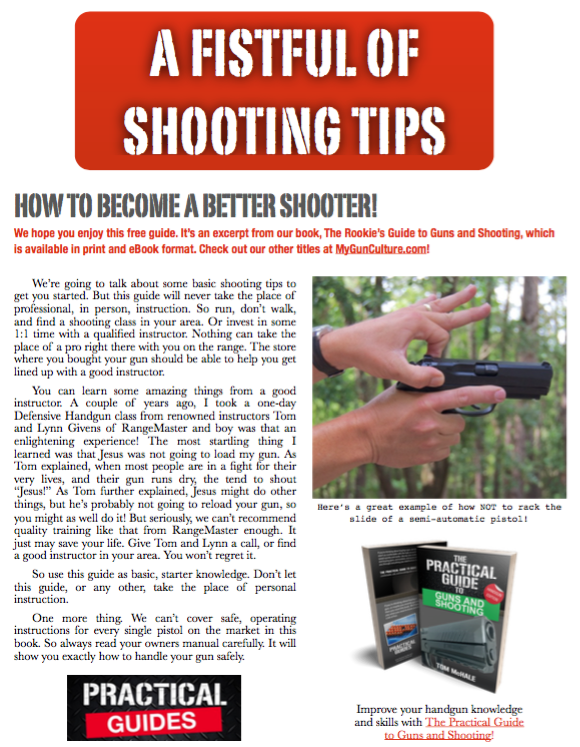 In general terms, we’ve found that, all other factors being equal, additional velocity can improve performance after passing through barriers whether or not the hollow point gets clogged on the way in. As shown by the photo, the Golden Sabers expanded dramatically. In this case after passing through 2 layers of heavy leather and 4 layers of light canvas. Jacket / core separation was more pronounced than with the standard pressure load, but penetration did not suffer and we recovered the jackets very close to the same depth as the lead cores. Nice review! I’ve been looking for “the best” round for a 45 compact (3 1/2″ barrel), so I chronographed numerous rounds in both a 5″ barrel and a 3 1/2″ barrel. 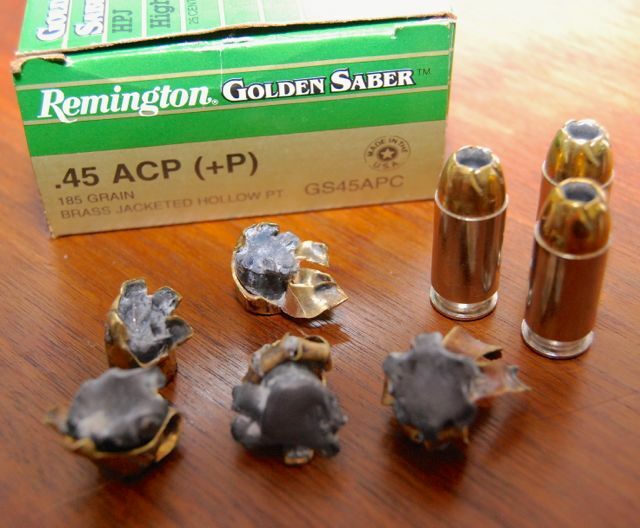 Golden Saber 185gr (std, non +p) results: average of 1017 fps in a 5″ barrel, and 954 fps in a 3 1/2″ barrel. No other factory ammo I tried came so close to the advertised velocity when used in a 5″ barrel. I couldn’t really come close to duplicating it with reloads either. Add these qualities to the fact that they do expand well, and the have the reputation for feeding in just about any gun you put them into, so far this seems to be the choice for compact carry.